We’re very proud to announce that our CEO and Founder, Paul Sulyok, has been shortlisted for the 2017 NatWest Great British Entrepreneur Awards in the Scale-up Entrepreneur of the Year category. “It’s an honour to be shortlisted amongst the most talented and successful entrepreneurs in the country and to be part of an Awards that has celebrated amazing business leaders such as David Buttress of Just Eat and James Watt of Brewdog. 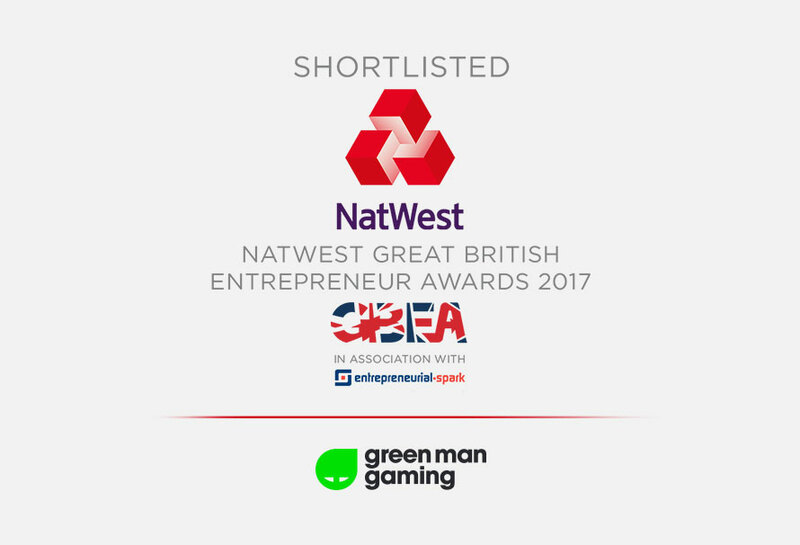 The journey of an entrepreneur is challenging but enormously satisfying and I wouldn’t be where I am today without the support of our customers, business partners and of course, the Green Man Gaming team. Thank you to all,” said Paul Sulyok, CEO and Founder of Green Man Gaming. The Awards celebrates entrepreneurship across Great Britain and puts the spotlight on incredible talent within the British entrepreneur ecosystem. In its fifth year, it has recognised some amazing entrepreneurs over the years including Julie Deane of The Cambridge Satchel Company and Alexander Solomou of The LADBible Group. The winners will be announced on 21st of November 2017 in London during the Gala night.